At our Split travel guide & blog we try to share our best travel tips in order to help you plan your holidays in Split. Split is the largest town in Dalmatia, second largest Croatian town, and one of our favourite places in Croatia. Split is a typical Mediterranean city, slow-paced, with easy-going locals, sunny outdoor terraces always buzzing with people regardless of the time of day, yummy food, and all around great laid-back atmosphere. Split is centrally located and well connected with major European airports, from April to October. Split makes a good base to explore coastal Dalmatia, and central Dalmatian islands, like Hvar, Brac, and Vis. On this page you’ll find our best travel tips, recommended places to stay, and local restaurants, what to see, beaches to enjoy, and things to do in Split. Click on links below to read more about each topic of your interest. We hope to help you plan your holidays in Split. If you need any extra information on Split that we haven’t covered yet at our Split travel guide & blog, feel free to contact us via e-mail. This is a great post to start with, if you are planning your holidays in Split. We cover all Split essentials in this comprehensive blog. A massive list of things to do in Split. This is a must-read blog post if you look for what to do in Split during your stay. If you are visiting Split, but not sure where to stay, in this blog post we share our favorite places to stay in Split. 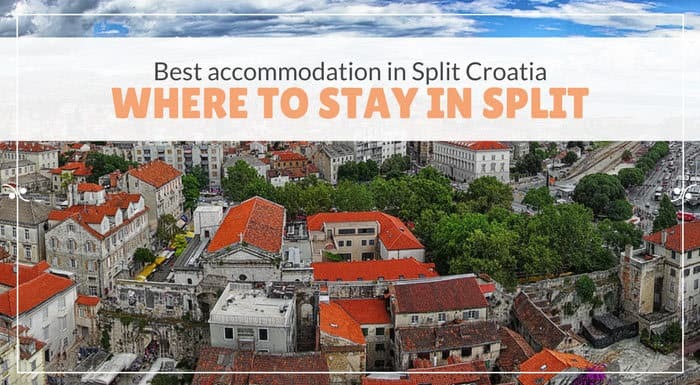 In this Split accommodation guide, we’ll try to help you choose the best place to stay in Split. 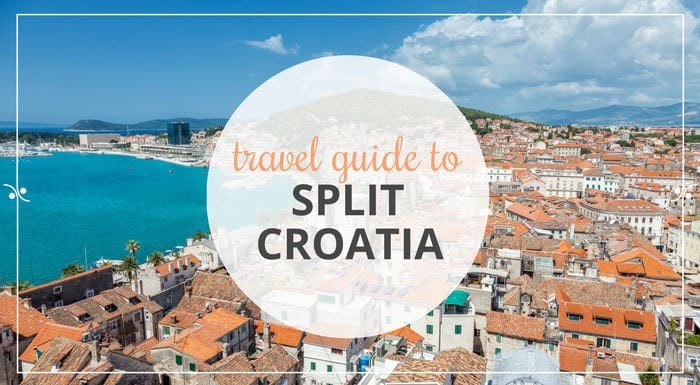 We cover everything from different Split neighbourhoods, pros and cons for different types of accommodation in Split, and other tricks and tips to make you choose where to stay in Split Croatia. Split Croatia is the largest town in Dalmatia and second largest in all Croatia (after Zagreb). A typical Mediterranean city, Split has a small town vibe, lots of murmur and easy-going locals (Did you know that in Dalmatia locals use a word pomalo (take it easy) as a greeting?). I like Split a lot. There is something about this Croatian town and its atmosphere that excites me and it just feels good being there. I like its buzzing seafront promenade, charming neighborhoods of Varos and Matejuska, its bustling green and fish markets, and a historical palace. Split beaches may not be the dream beaches, but they do the job on hot summer days. They offer a refreshment to locals and tourists. And although many say that these two words (Split beach) should never go in the same sentence, I beg to differ.